The Cultivars (morphs)/Genetics Issues Discussions about genetics issues and/or the various cultivars for cornsnakes commercially available. Hey there! I was wondering if any of you know any breeders that sell sunkissed lavender corns and I was also wondering if there are different morphs of highly pigmented purple corn snakes out there. Thanks so much! 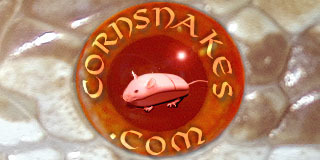 I'm relatively knew to the whole concept of genes and traits in cornsnakes. but he sells out quickly every year. Contact him in the spring and he may be able to tell you if they will be available. You may also want to check out Walter Smith Captive Creations to see if there's something you like. Thanks so much! I actually contacted Steve after posting this forum actually so it's funny that you would mention him. I've heard a lot about his lavenders already, and I haven't looked for that long. Either way, I'll keep a look out. Thanks again! I bought 4 females and a male lavender from Steve in 2016, plus a beautiful normal het sunkissed lavender amelanistic adult male. As I've told Steve, the lavenders are very aggressive eaters, usually grabbing the mouse off the tongs I use, and coiling them. I probably didn't need as many as I bought, but they are one of my favorites. If you use the "search" function you can find pictures of his hatchlings from prior years. Simply outstanding! Thank you so much! I’ll do just that. They all sound like they are beautiful! The best lavenders I've seen come from Europe. Dunno what it is. There must be something in the water. Can you tell us what made them appear the best? If it wasn't such a long process I'd like to produce nice purple blotches on a clean light gray or white background. Some of mine have nice pink backgrounds, so I'll try to enhance that too.